Fixie, short for fixed-gear, refers to a bike wherein the pedals are directly attached to the wheels. This means that if you pedal forward or backward, the wheel will be moving in the same direction. You should continue pedaling in order to keep the bike moving. This is one of the most popular products within the product category because of the simplicity that it offers. 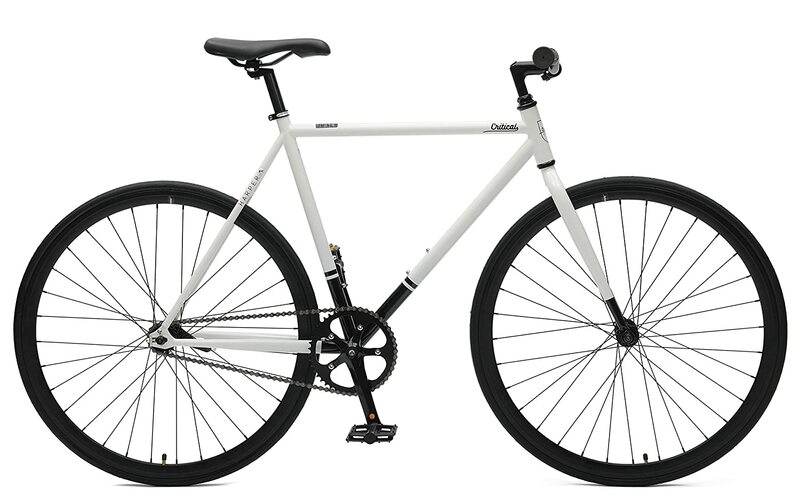 Are you searching for the best fixie bikes? Consider yourself lucky that you are reading this guide now. We will help you to make the right choice by providing you with insights on the essential factors to consider, as well as some of the best brands and models that can be taken into account. To increase the likelihood of making the right decision, consider the factors that will be mentioned below. One of the first things that you should be thinking about would be how much you are willing and will be able to spend. With a budget in mind, it will be easier to narrow down the possibilities that are available on the market. Make sure to stick to the budget you have earlier identified. Exert effort to go through several options in order to find one that comes with the right price. However, it is also important to keep in mind that you should not choose one product only because it is cheap. At the end of the day, quality should be emphasized above price. Choosing a bike with the right chain can be a technical undertaking, which is why it is important to be familiar with the choices that you will have. Your first choice is a 1/8 inch chain. It is wider and heavier, which is also the same that you can find in BMX bikes. A more common option, however, is the 3/32 inch chain. It is the better choice between the two because of the better flexibility that it offers. In addition, it is also known for being lightweight, smoother, and can result into pedaling in a manner that is quieter compared to using 1/8 inch chain. In order to determine the quality of one product, it is important to take a look at the materials that are used, which will also inevitably impact its price, and most importantly, its performance. Generally speaking, the following are some of the most common materials that you can find on the market. Aluminum: This is one of the best choices if you are looking for a bike that is durable and lightweight. It is preferred by many because of being impressive when it comes to power transfer. However, there are some who complained that this could lack shock absorption, which can cause discomfort for the rider. Carbon Fiber: This is excellent when it comes to being lightweight and stiff. Manufacturers using this bike are given the flexibility to have it designed in multiple ways. There are entry-level models that are available at an affordable price. Titanium: The inherent flex of this material is one of the reasons why it is well-loved by many. This means that the rider will feel comfortable, even if it is going to be used in rough surfaces. Steel: This is perhaps one of the oldest materials that are used in fixie bikes. They are known for the comfort and durability that they can offer. It is also affordable than other materials, but the problem is that its weight can be heavy. Before you buy a fixie bike, you should first determine the size that is right for you. In this case, you should consider your weight and your height. More often than not, the size will be determined by the wheels. Also, it will help if it comes with an adjustable seat, allowing it to perfectly fit the height of any user or whatever you personally find to be most comfortable. 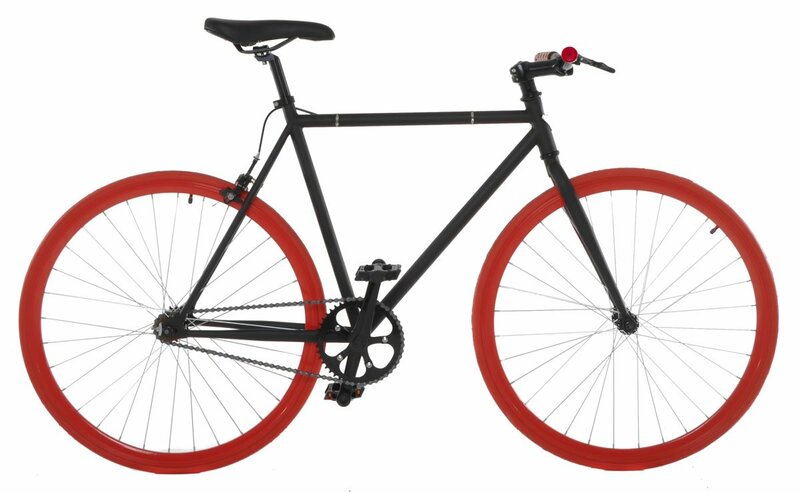 The design of the fixie bike is sure to be one thing that you will love. It is simple, yet it is definitely going to turn heads when you are on the road. The tire has a solid color that gives the bike a distinct personality. The frame is made from high-tensile stainless steel. This is one of the most traditional materials within the product category and a popular option for those who are looking for a durable option. Unlike other steel bikes, however, it is lightweight. Are you looking for a bike that requires minimal maintenance? You have another good reason to have it chosen above all others. Since it is a fixie bike, you can be confident that it will remain superior, even with long-term use. Lastly, the quality of the brakes is also exceptional. It is built in such a way that it can provide incomparable stopping power, which will give you peace of mind when it comes to safety. Among other features, the flip-flop hub is one of the best things about this bike. This is basically the one that is responsible for offering a high level of versatility as users will be able to choose from freewheel or fixed gear. The Wanda tires that come in the bike also give this product a distinction among other options on the market. Even if you will be passing through tough roads and potholes, there is no need to worry and you can be confident that your tire will remain excellent. Looking for something that will be perfect for your personality? There is surely an option that will be right for you as it comes in ten different colors. Lastly, it is also a good thing that the manufacturer provides the tools that you will need for the maintenance of the bike. It is already inclusive of Allen and cone wrenches to provide you with the set of tools that you will need. 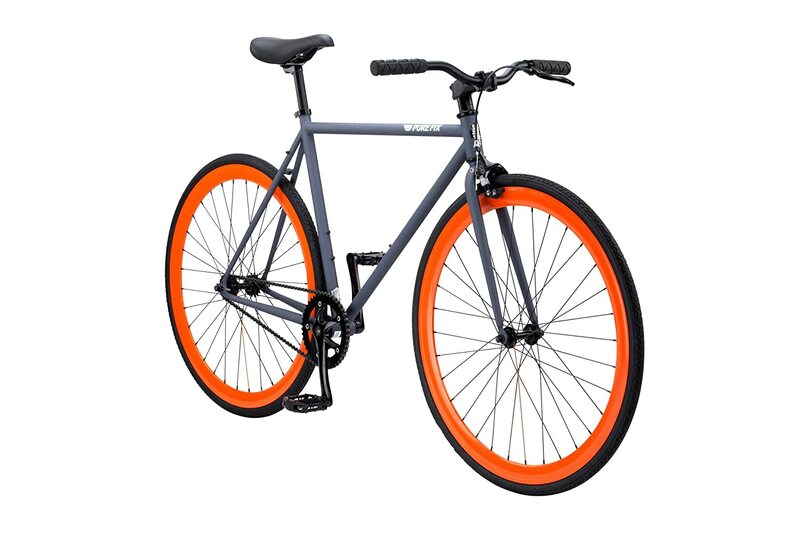 This bike is a popular choice within the product category because it combines the benefits of a fixie and a cruiser. 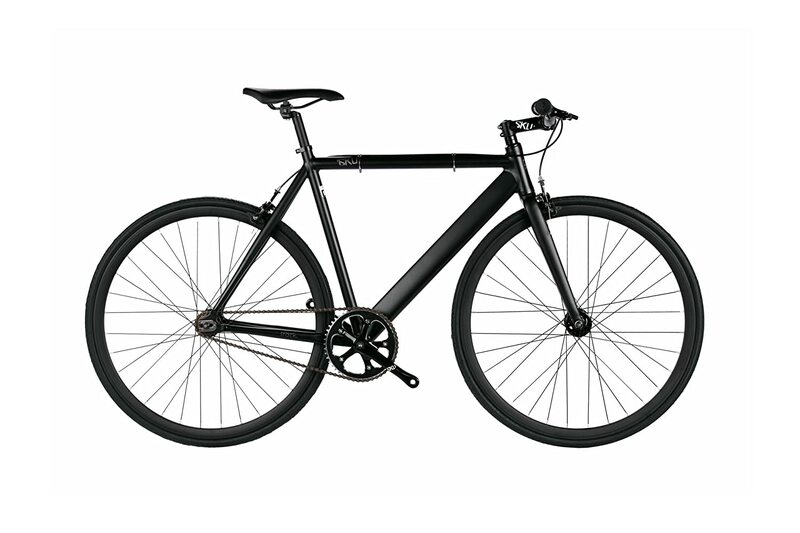 It has a sleek style, which is common for a fixie bike, and cruiser, which is known for being easy to use. To excel in terms of durability, this bike is integrated with a high-tensile strength frame that is made from premium stainless steel. Aside from being long lasting, it can also effectively absorb shock, providing the rider with the highest level of comfort. Another feature that is worth noting about this bike is the integration of a coaster brake. This is the simplest option for a bike brake, which is why it excels when it comes to being user-friend. To top it all, it is going to deliver the best in terms of safety because of its immediate stopping power. Lastly, it comes with excellent wheels. More than just being able to withstand wear and tear, it is also excellent as it tackles different types of surfaces, and more importantly, it promotes comfort. 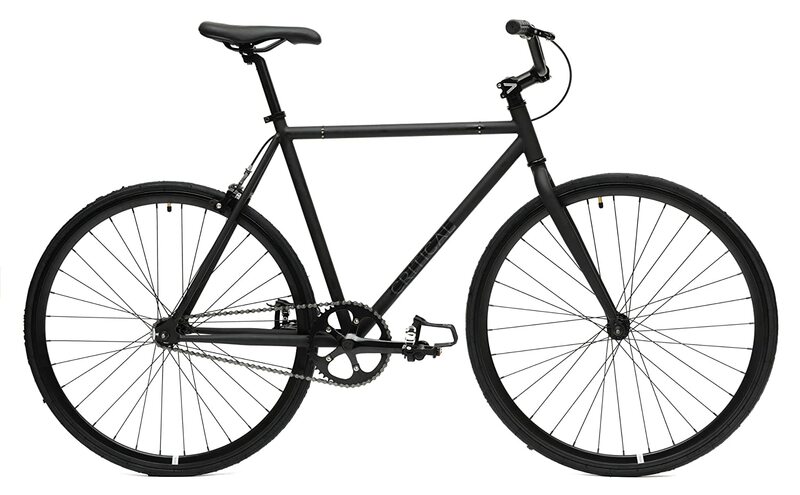 There are many reasons to love this fixie bike, and one would be the fact that it can offer versatility to the user. This is made possible by the presence of a flip flop hub, which will provide you with the opportunity to choose from fixed or freewheel. All of the components of this bike are made with emphasis on superior quality. From the handlebar, saddle, and foot strap, among others, you can expect that they will be reflective of high quality. The urban geometry frame of this bike is one more thing that should be given attention. This gives it a distinct and stylish appeal on the road, while also providing you with the guarantee that it is going to withstand many years of use. Lastly, this bike can provide you with peace of mind. This is basically because of the lifetime warranty that is being offered by the manufacturer. Simply put, this means that the repairs will be covered by the manufacturer, provided that the terms of the warranty coverage have been met. While there are many things that will impress you with this bike, one that is definitely worth noting is the 28c tires. The latter can demonstrate an excellent capability to absorb vibration, and hence, leading to your highest level of comfort. It is also constructed in such a manner that it will have strong grip on the ground. If you want a bike that looks cool and stylish, this is a good option that can be considered. It is available in a variety of bright colors, which will make you turn heads. For those who prefer to be low profile, there are also neutral or dull colors. Another thing that makes this an excellent choice is the 6061 double butted frame. It is complemented with alloy fork, both of which are contributory to the impressive quality and durability of the bike. Lastly, words of praises have been also expressed with regards to the lubrication of the bike. When it is time to re-lubricate, this is one thing that can be easily done on your own. Now that you are done reading, we hope that it is now easier for you to decide which would make the best option for the best fixie bikes. If there is one important takeaway, it would be the fact that you should never make a decision on the basis of price alone. Consider all the factors we have earlier discussed. You should assume full responsibility for the decision that you will make, which is why it is critical to be as cautious as possible.